Our Birmingham Training Centre is located in Birmingham City Centre to cater for individuals, companies and public organisations requiring Health & Safety Training. 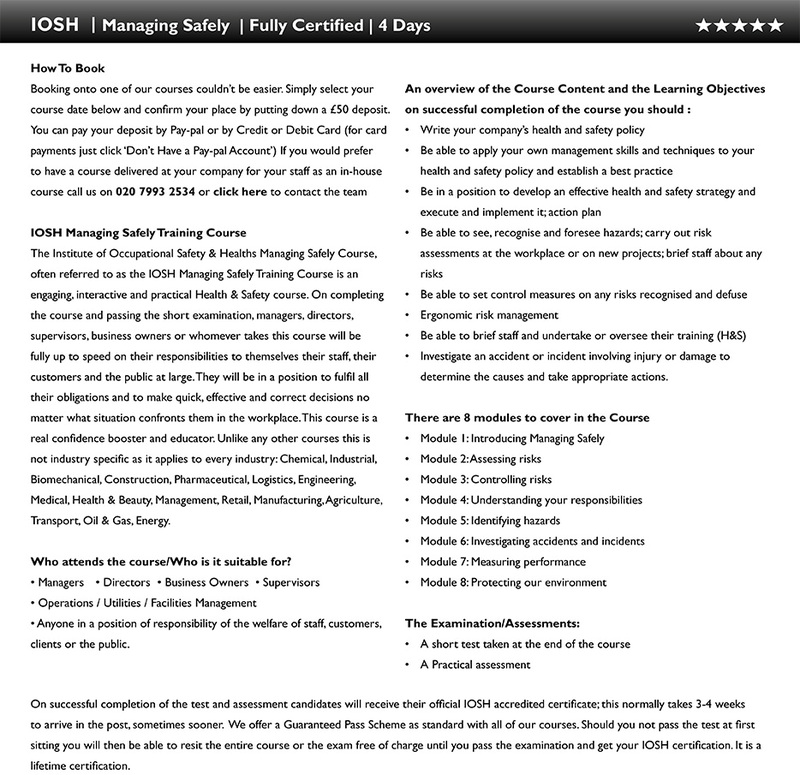 The IOSH Courses (both the Working Safely and Managing Safely) are held once a month, CITB Site Safety Plus (SMSTS and SSSTS) courses are also held here monthlyrses are also held here monthlyic.com”>.This Midlands training centre is well suited to students from through the Midlands region including Leicester, Coventry, Warwick, Leamington Spa and beyond. The Training has been given five star feedback by former students and institutions that have participated in training. The trainers have a near 100% pass-rate for these courses, and with our Guaranteed Pass Policy we ensure all students get their Lifetime IOSH Certification. Booking onto the course is very quick and easy; 1) select the date that best suits you from the dates below and click; 2) pay your £50 deposit by card or by PayPal 3) place confirmed. If you would like to do this course in-house for your team of staff, please call us on 020 7993 2534.